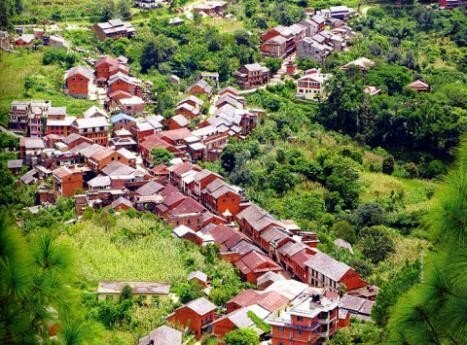 Bandipur is a picturesque town nestled in the Himalayan foothills of Nepal, a land as famous for its natural beauty as for the hospitality of its people. 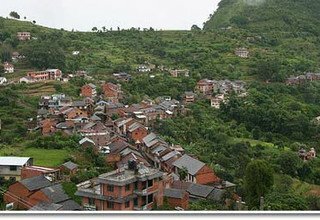 Bandipur lies midway between the capital Kathmandu and Pokhara, another popular tourist destination. Situated on a hilltop above the highway town of Dumre, Bandipur captivates the visitor with its cultural appeal and pristine scenery. 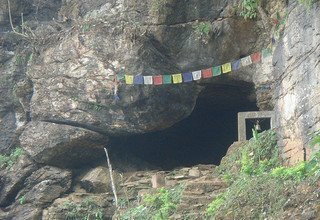 This Newar town has maintained its age-old flavour, and presents sightseers with a heady mix of history, architecture, incredible views, awesome caves and unspoiled landscapes. 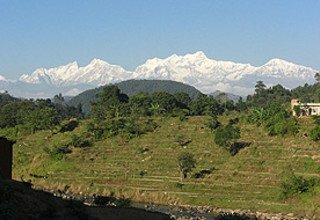 Bandipur has been described as a natural view tower; indeed, one can enjoy a spectacular panorama of the entire Annapurna Range plus the peaks of Dhaulagiri, Manaslu and Langtang from here. 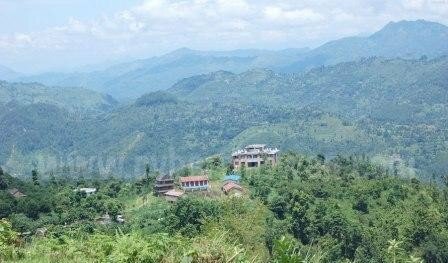 Apart from the stunning views of the Himalaya and the Marsyangdi Valley, a visit to the town is an opportunity to get a close look at Newar cultural life. 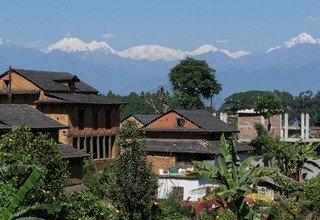 Bandipur is an outpost of the refined civilization of the Kathmandu Valley, and it is an ideal retreat to soak in this fabulous heritage along with the natural splendour of the surroundings. With its varied attractions ranging from the artistic to the scenic, Bandipur entices visitors of all interests to come and discover something for oneself. Bandipur was once a prosperous trading center, and its charming buildings, with their neoclassical facades and shuttered windows, bespeak its past glory. Originally a simple Magar village, it was settled in the early nineteenth century by Newars from Bhaktapur, who took advantage of its malaria-free location to develop it into an important stop on the India-Tibet trade route. Along with their trading skills, the Newars brought with them their rich cultural heritage and architecture, which still defines the look and feel of today's Bandipur. Bandipur saw its heyday during the Rana period (1846-1951). The power and prestige it enjoyed then is indicated in the special permission it received to establish its own library that still exists. In the 1950's, the town began to lose its edge after malaria was eradicated in the Terai, which facilitated travel to the once dreaded plains. In the 1960's, the district headquarters was moved to Damauli. The final blow came in 1973 following the completion of the Prithvi Highway that sidestepped it. Shunted from the traffic, commerce shifted to Damauli, and Bandipur turned into a near ghost town. 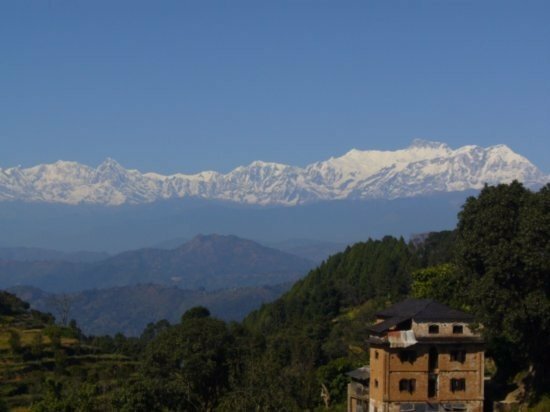 When Newar merchants fanned out from the Kathmandu Valley looking for new prospects after its conquest by Prithvi Narayan Shah in the late eighteenth century, they chose Bandipur as an appropriate conduit for trade between the northern hills and the southern flatlands. The traders also designed the town in a style that reflected their fine aesthetic standards; and thus its houses ornamented with pagoda roofs, lattice windows and ornate doorways stand firm to this day to delight the travellers who are making Bandipur their new destination. The winter starts in September-October and ends around January-February. 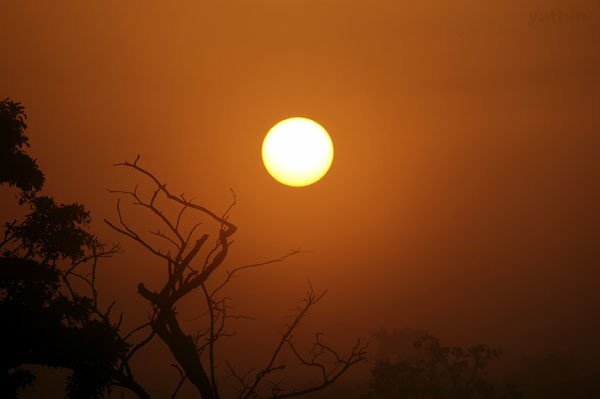 The maximum temperature hovers between 18-21 degrees Celsius and the minimum drops to 2-3 degrees. The sky over Bandipur at this time of the year is generally clear, providing superb views of the mountains. The summer season lasts from February-March till June-July. 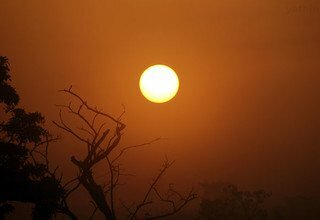 The maximum temperature rises to 32-33 degrees Celsius with the minimum staying at 12-13 degrees. The rainy season begins in June-July and continues till August-September. The monsoon is marked by big downpours in this area. Although originally inhabited by the Magars (of Gurkha soldier fame), Bandipur today is a composite of different ethnic groups and beliefs. The town now contains an equal mix of Bahuns, Chhetris, Newars, Damais, Kamis, Sarkis, Kasais, Magars and Gurungs. 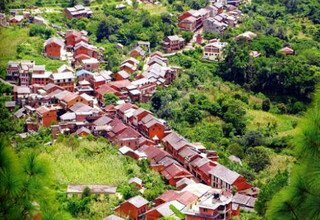 Bandipur has an altitude of 1,030 m, and is situated in the Mahabharat Range in Tanahu District of Gandaki Zone. 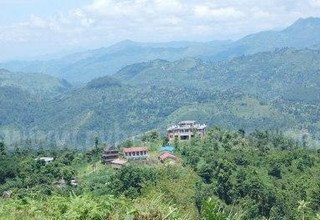 It is 143 km to the west of Kathmandu, 73 km to the south of Pokhara, 70 km to the north of Chitwan and 8 km from Dumre Bazaar on the Prithvi Highway (Kathmandu-Pokhara Highway). Bisket Jatra is the most important festival celebrated in Bandipur. On the main day, the idol of Goddess Bindhabasini is put on a chariot and paraded through the bazaar. Animal sacrifices are offered to the deity before the start of the procession. The festival ends with the throwing of coins from the top of her temple, which sets off a scramble among the kids to get at the money. Baishakh Purnima, On the full moon day of Baishakh Purnima, the Magars of Bandipur put on a show of their traditional dance known as Ghatu. A religious ceremony is also performed at Chandithan with two girls leading the rituals. This is followed by dancing and merry making by the local youths. Janai Purnima is celebrated by tying a sacred thread around the wrist. Participants play music in the evenings from fifteen days before the festival. A dance called Ghintanghin is also performed during these occasions. On the day of the festival, an ensemble of musicians plays the jhyali at the house of those who have died in the past year. Gai Jatra, On this day, an effigy of a cow is made out of a bamboo basket by decorating it with a picture of a cow's head and other embellishments. A man carries it and leads a parade of performers doing a stick dance called Taktuke and musicians playing instruments like the jhyali and dhalki. Other participants follow the procession which is known as Sapra. Dashain (Khadga Jatra), Dashain is the greatest festival in Nepal, and it is celebrated in Bandipur with equal zest and vigor. The revelry is spread over several days. A magnificent service is organized near the Khadga Devi Temple. During Phulpati, a sheep is sacrificed to the goddess. The Magars and Kamis carry the sacred sword in a parade through the town to be worshipped by the devotees. This is followed by a procession of the military band. On the day of Nawami, a buffalo is sacrificed at Purano Kot and later the carcass is pushed off the cliff. The final day is marked by putting a ritual red dab on the forehead and partaking of a feast. Tihar, The festival of Tihar lasts for three days with the participants celebrating Laxmi Puja, Mha Puja and Bhai Tika consecutively with much enthusiasm. Groups of revelers walk through the streets singing Deusi songs and dancing. People also illuminate their homes with oil lamps. 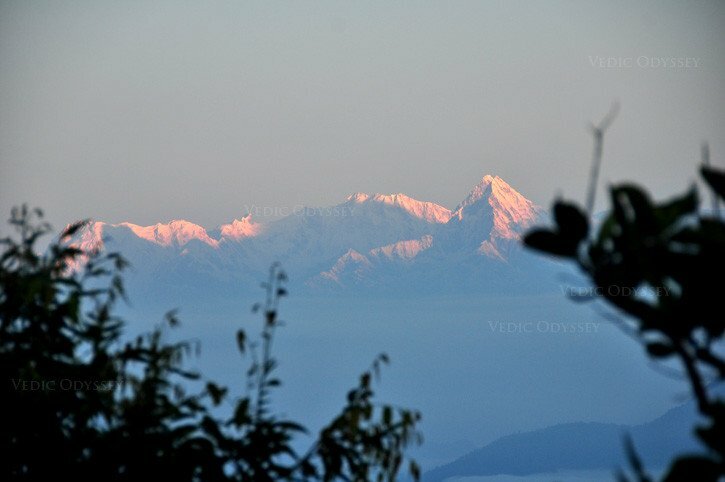 Yomari Purnima, This day is marked by venerating Goddess Annapurna. The ceremony coincides with the harvest season, and so people also worship their granaries. Shivaratri, People gather at Chandeni, Mahadevsthan, Bindhabasini Temple Square and Teendhara Mahadevsthan to light bonfires and celebrate the birthday of Lord Shiva. Chaitra Dashain and Ram Nawami, The Magars of Bandipur celebrate this festival with great gusto. An animal is sacrificed at the temple of Khadga Devi, and a fete is held at Patalidwar where participants gather to sing and dance and have fun. 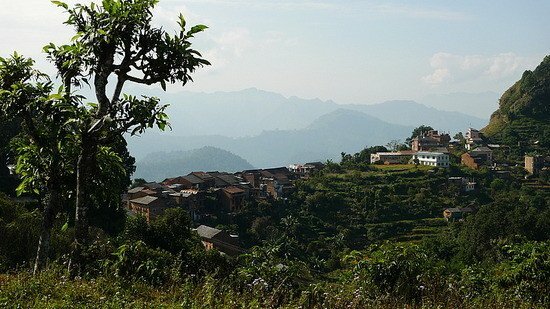 Ramkot is a two-hour walk to the west of Bandipur. 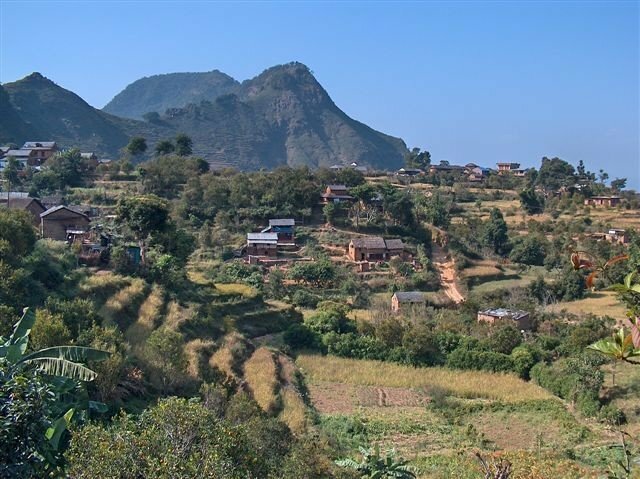 It is an easy hike passing through Muchuk Village from where you can also visit Mukundeswari. Ramkot is a typical Magar village with traditional round houses. 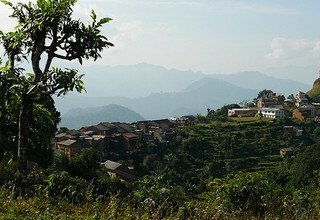 Ramkot is untouched by modern development and offers an opportunity to experience the lifestyle of rural Nepal. From here, one can go on to Chabdi Barahi, which can be reached after two hours of easy hiking. Mukundeswari lies at an altitude of 1,830 m. It is about a two-hour walk to the west of Bandipur. The place looks like a gallery of ancient weapons and other antiquities as swords of different shapes and sizes lie scattered all around. 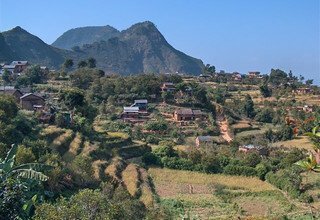 Chabdi Barahi is a four-hour walk to the west of Bandipur. This pilgrimage spot can also be reached by road from Damauli. Devotees sacrifice pigeons and various other animals to the shrine here. 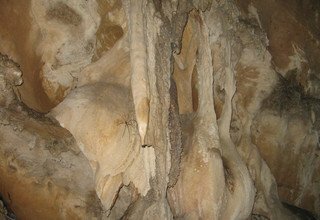 Siddha Cave, Bandipur amazes visitors with its geology as much as with its scenic and cultural attractions, and it would be unthinkable not to visit its caves. 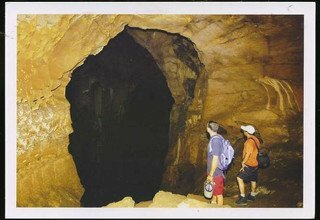 The must-see destination here is Sidhha Cave, discovered only in 1987. 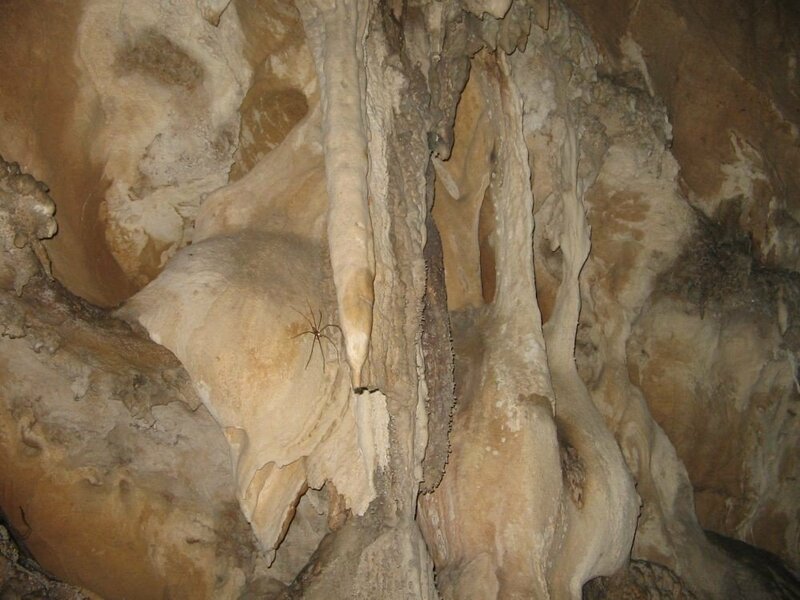 It is said to be the largest cave not only in the kingdom but also on the South Asian subcontinent. 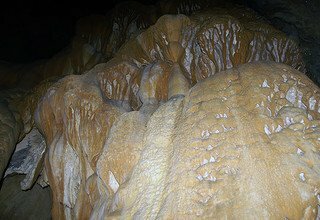 Sightseers can check for themselves by exploring its inner recesses which are filled with natural artworks created by the stalactites and stalagmites here. 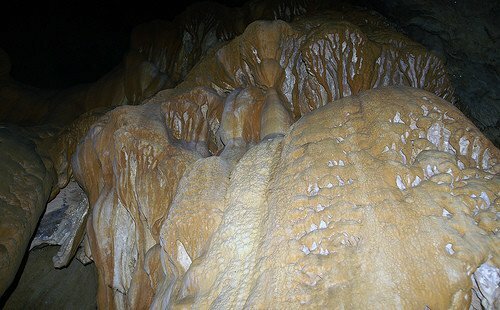 Siddha Cave is situated just above the cliff of Bimalnagar, from where it is a thirty-minute climb. 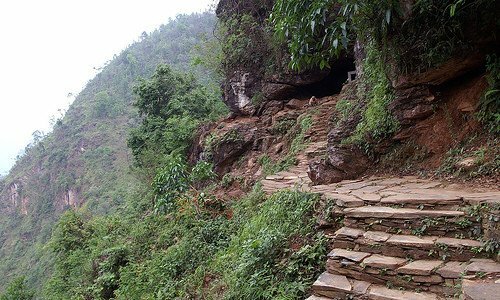 The cave can be reached from Bandipur after ninety minutes of easy walking. 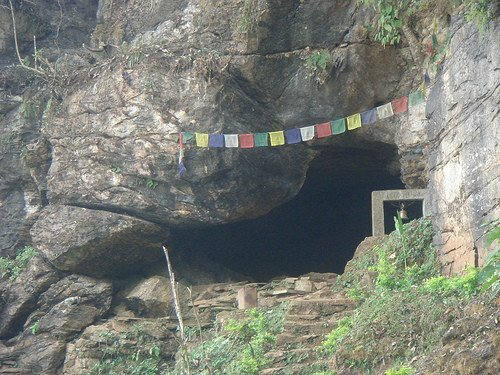 Patalidwar cave also goes by the name of Gateway to Heaven. 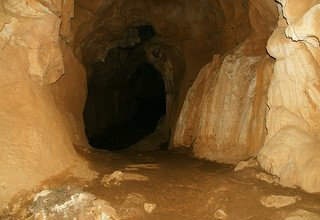 According to legend, anyone entering the cave will cause all the sins of their ancestors to be washed away and bring them salvation. 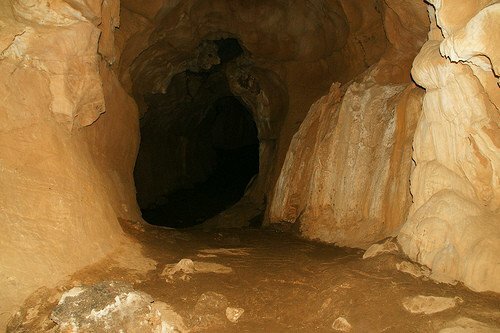 The way to this cave is through a jungle and takes about two hours from Siddha Cave. A religious fair is held here in April when participants perform the Chutka dance. Khadga Devi, The temple of Khadga Devi is one of the most revered temples in Bandipur, which is belied by its look of a residential house except for the finial. This temple is opened to devotees only once a year on the day of Phulpati during the Hindu festival of Dasain. The shrine does not contain any statues of gods or goddesses, but a Khadga, a sacred sword wrapped in layers of cloth. Legend has it that if anyone looks at it, he or she invites instant death by vomiting blood. According to another story, the relic was a present from Lord Shiva to Mukunda Sen, king of Palpa (1518-1553 A.D.). The Khadga is worshipped as a symbol of the female power, hence the name Khadga Devi, which means goddess of the sword. Bindhabasini Temple, This temple is located in the main bazaar area and is constructed in the pagoda style. An image of the goddess Bindhabasini is enshrined here. It also contains statues of other goddesses. During the New Year celebrations of the Bikram Sambat, the image of Bindhabasini is put on a chariot and pulled through town amidst other revelry. Chandithan, This temple lies to the west of Bandipur Bazaar. According to folklore, people would place 12 eggs inside the temple and cover it with straw and a brick before the start of the planting season. If the eggs kept fresh after one year when they were uncovered, it meant that there would be a good crop the following year. Mahalaxmi Temple, This temple is located to the southeast of the main bazaar. Its architecture shows it to date from the medieval period. The temple is in the style of a pagoda. The struts and tympanum are adorned with figures of Bhimsen and various mythical creatures. The original statue of the goddess Mahalaxmi, however, was stolen, and it has been replaced by a new one. Narayan Temple, This temple lies to the east of the main bazaar area. Statues of the god Harihar and the ten incarnations of Lord Vishnu are installed inside. Tundikhel, Tundikhel is an excellent vantage point situated to the north of Bandipur's main bazaar. 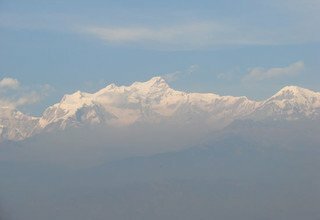 From here, one can view the magnificent Himalayan Range including the spectacular peaks of Dhaulagiri, Machhapuchhre, Langtang, Manaslu and Ganesh Himal, among others. The legendary Gorkha Palace and the famous Manakamana Peak can also be seen clearly. 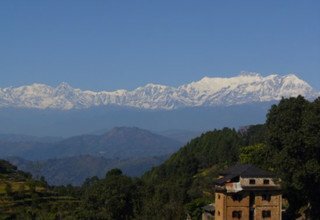 Other sights include the Marsyangdi Valley, Bimalnagar and Dumre. 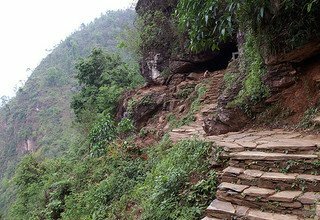 Paharpani Mahadev, A fifteen-minute walk to the north of Bandipur Bazaar brings one to the shrine of Parpani Mahadev. From above, it appears as a small bush. A stone pathway leads to the cave-like shrine. Inside, there is a waterspout, and below it are installed several small statues of various gods. They are known as Parpani Mahadev. In the old days, people gathered here to sing hymns and bathe under the fountain before going to work in their fields. A pond has been built here to add to the beauty of the site. Purano Kot (Gurungche Hill), Purano Kot, originally a fort, lies at a distance of about 500 m to the west of the main bazaar. It takes about twenty minutes of easy walking over the stones to reach the top. There is a small temple nearby containing a number of old statues. Next to it stands a newly built temple of Thanithan Mai. The local people believe that praying to Mahadev at this spot during a drought will bring rain. 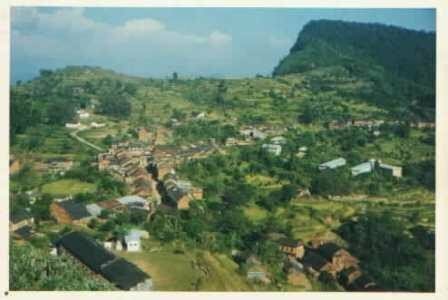 Tandrang Tundrung, Tandrang Tundrung is a fifteen-minute walk to the west of Bandipur Bazaar. Its unusual name is said to imitate the sound that is produced when a stone is thrown into the well here. According to the old-timers of the village, it was used by Mukunda Sen to pass between Mukendeswari and Tandrang Tundrung to perform religious deeds. 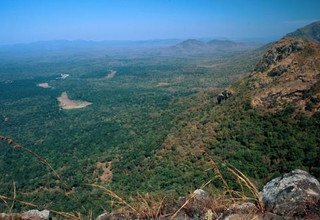 Gadhi, This ancient fort lies to the northeast of Bandipur and is believed to have existed from the time of Mukunda Sen. Since the spot lies at a higher elevation than the bazaar, you can get a stunning view of the mountains from here. Teendhara, This place lies to the east of the main bazaar and can be reached in ten to twenty minutes. The name of this place means three water spouts. Two fountains were added later. A shrine dedicated to Lord Shiva lies nearby. Raniban, This forest of Sal trees is located to the east of the main bazaar. Nature enthusiasts will enjoy visiting the spot for its greenery and tranquility. Padma Library, This historic library lies in the heart of Bandipur Bazaar. It was transformed into its present magnificence from a shelter for sages in 1945. It has been serving book lovers from the days of the Rana regime. Annapurna Massif, Machhapuchhre (Fish Tail), Dhaulagiri Range, Manaslu Range, Langtang Range, Ganesh Himal Range, Lamjung Himal and other snow-capped mountains etc. Day 2: Full day Sightseeing in Kathmandu Valley with Tour Guide by private car. Overnight in Hotel. 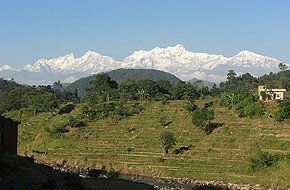 Day 3: Drive from Kathmandu to Bandipur by private car and transfer to Resort/Lodge/Home-Stay. Day 4: Village Tour in and around Bandipur. Overnight in Resort/Lodge/Home-Stay. Day 5: Village Tour in and around Bandipur. Overnight in Resort/Lodge/Home-Stay. Day 6: Exploring the Siddha Cave which is 750 meters long and probably the biggest cave in Asia. Overnight in resort/Lodge/Home-Stay. Day 7: Drive from Bandipur to Kathmandu by private car and transfer to Hotel. Day 8: Full day Sightseeing in Bhaktapur and Patan City with Tour Guide by private car. Overnight in Hotel.